Martin O’Neill described it as “a fantastic stand, an adequate stand and the other two parts are Vauxhall Conference.” Yes – we’re here to talk Filbert Street, home of Leicester City FC from 1891 to 2002 and apart from the Carling Stand, I don’t think much else changed in all that time! Filbert Street as I remember it. I don’t want to sound derogatory because I loved Filbert Street. I sat in the same orange ‘Family Enclosure’ seat for ten years and I, like just about every City fan, has to admit that it was better than the current King Power stadium – not in terms of structure and facilities, but in terms of atmosphere. The King Power may be bigger and better but for the ten years it has been open, the atmosphere has hardly matched its predecessor. The new generation of City fans are growing up with no memory of the jumbled mess that was Filbert Street, with the cattle shed East Stand that always started the wave, the Family Enclosure with its orange seats (why orange? ), the Double Decker with obstructed views and the imposing Carling Stand that, once upon a time, revolutionised the stadium. 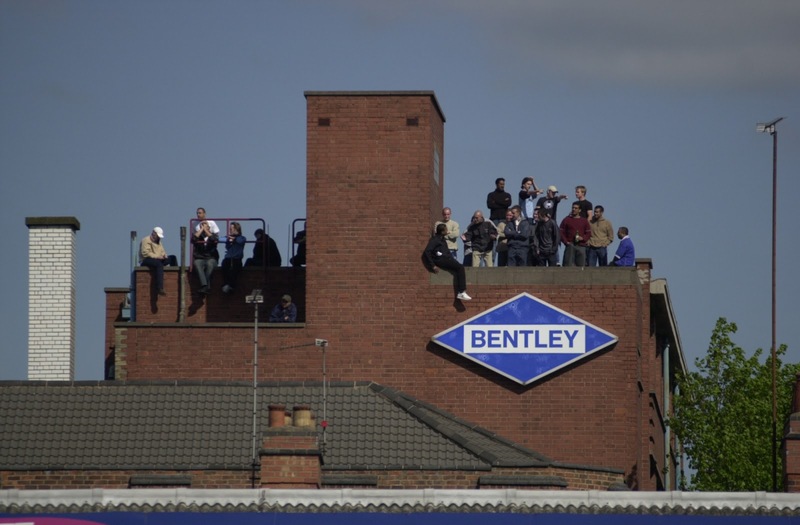 It was such a poor construction that you could watch the match for free if you had keys to Bentley’s roof – a tall building behind the East Stand that offered a commanding view over the entire pitch. I always wanted to go up there but never got the chance! 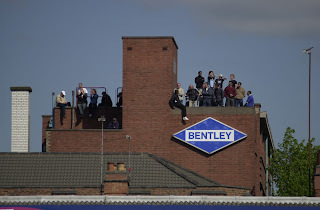 Bentley's Roof - Season Ticket holders! I also remember when a young lad called David Beckham was warming up at the Family Enclosure end before City v Man. Utd. I remember it well because he once struck the ball with such ferocity and it smacked a kid in the face. David was great as he offered the boy a choice in the way of an apology: a kiss from ‘Posh Spice’ or his custom-built football boots. The boy chose the football boots. Good lad! One of the darkest memories for me was going to City v Arsenal – you know the game – Bergkamp scored that hat-trick, yes that hat-trick! It was such a wonderful game. There were loads of goals and even a nearly-fight between Walshy and Ian Wright-Wright-Wright; so why is it a dark memory for me? I forgot my glasses and hence I didn’t see any of the goals. Talk about a depressing evening for a football-loving kid! How could I forget my glasses? I remember being at Filbert Street for the final ever game when, at the final whistle, everybody started tearing the stadium apart to take home their very own piece of Filbert Street history. I then remember the public address system told fans that “CCTV is in operation and anybody caught ripping out their seat will be prosecuted.” At that point at least 10,000 city fans stopped dead, looked around the stadium, and seeing that half the crowd were doing exactly the same thing, they all carried on. The threat of prosecution was laughed at – the threat, of course, being an empty threat! And if you’re wondering – yes I still have my orange seat! 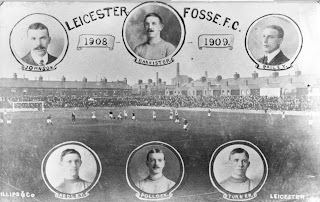 Leicester City FC were formed in 1884 and were named Leicester Fosse, after the Fosse Way Roman road that ran through the city. 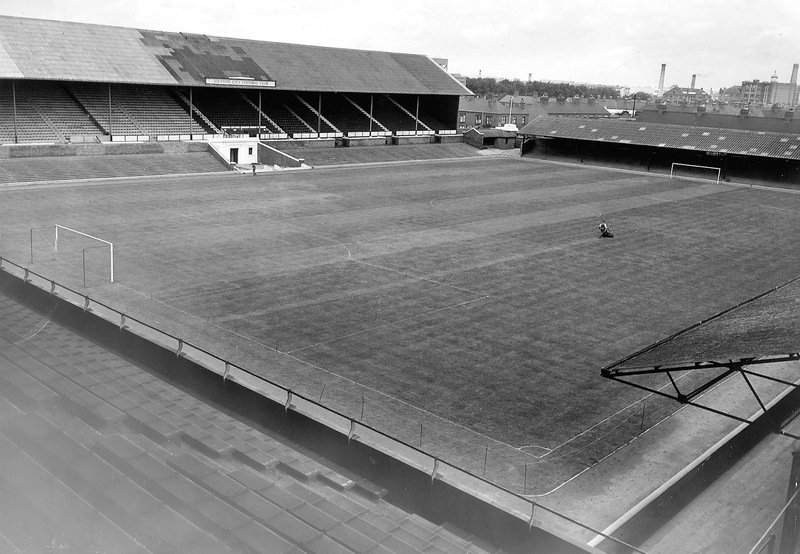 They became a professional club in 1889 and two years later, Filbert Street was born. Initially the ground consisted of simple banks of earth and a small Main Stand on the west. It wasn’t until the 1920’s when a much larger Main Stand was constructed, as well as the South Stand, which was known as the Spion Kop. The South Stand was further developed and as all City fans know, it came to be known as the ‘Double Decker’ and no clever sponsorship deals made by the club would ever change that! The roof of the old Spion Kop became the roof of the new North Stand. 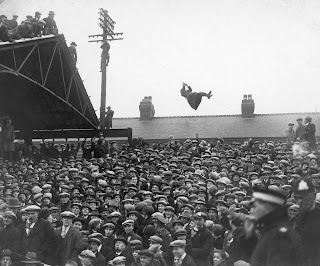 The King Power Stadium today can fit in 32,262 fans but the record attendance at Filbert Street was 47,298 for the Fifth Round FA Cup tie against Tottenham Hotspur, on February 18th, 1928. Fans were crammed in like sardines and they even clambered onto the roof of the North Stand to get the best view. 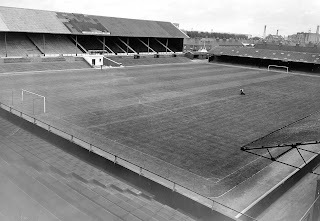 The East Stand was completed in 1939 and Leicester finally had a complete football stadium for its much loved team. Many fans won’t know this but the Main Stand was bombed in 1940 during the Second World War and later suffered from serious fire damage. Ironically it was re-built thanks to the labour of German POWs – no doubt doing a more precise job than the Engish! The stadium’s capacity was now 42,000 and floodlights were installed. They were first used for a match against Borussia Dortmund in October 1957. Due to safety regulations, the club seated the North and East stands in 1971 and the ugly executive boxes were lumped on top of the North Stand in 1975. In the 1990’s the club considered relocating the stadium so that it could expand. With rows of terraced housing behind the North and East Stands, and a power station behind the Kop, the stadium had serious limitations. 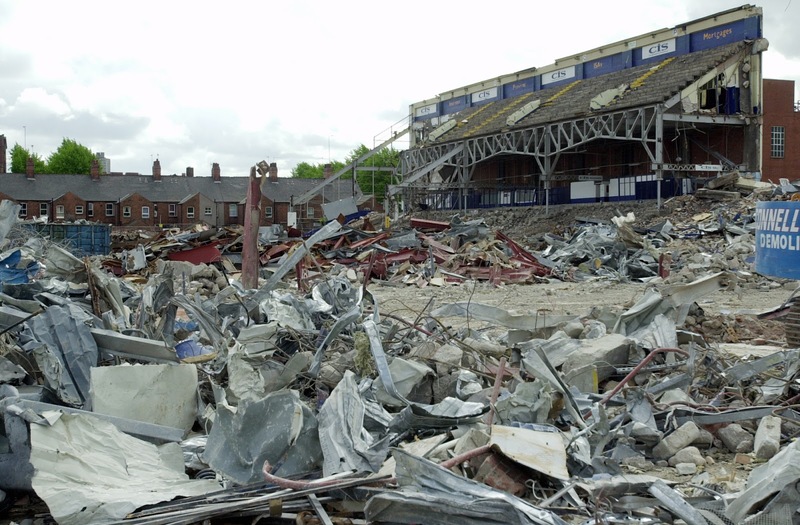 Instead, they decided to knock down the Main Stand and in 1993 the Carling Stand was built, costing £6million. The Kop was the last section to be seated in 1994 and Filbert Street’s capacity dropped to a measly 21,500. Martin O’Neill joked that he would lead new signings out backwards from the Carling Stand so they couldn’t see the rest of the ground before they signed – it was that embarrassing. It was due to their growing success that the club once again considered relocation. As we all remember the club had a dramatic change of fortune in the late 1990’s due to Martin O’Neill’s leadership. The club had finally entered its golden era. We became an established Premiership team, we won trophies and even played in Europe. 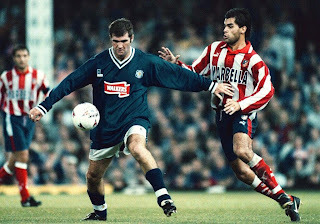 I can remember the excitement and anticipation when Athletico Madrid came to town – if you’re old enough, I’m sure you do too! I loved the O’Neill era but I was spoilt at a young age! I loved the play-offs, the cup runs, the trips to Wembley and the UEFA Cup. Watching Heskey, Collymore, Lennon, Izzet, Taggart, Elliot, Walsh, Flowers, Walker, Savage and Guppy was amazing. Yes, I mentioned Steve Guppy because I remember the day when he got called up to the England team! Those truly were the days and Martin O’Neill is forever in City fans’ hearts. With all the club’s successes, it eventually made the decision to move, purchasing Freeman’s Wharf, a former power station site 200 yards south of Filbert Street. Work soon began constructing the 32,000-seater Walkers Stadium and in the Summer of 2002 it opened for business. 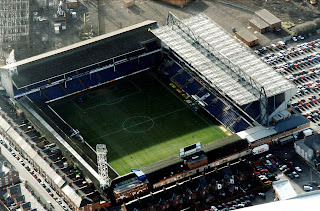 Although sad, the move was necessary and Filbert Street was sold for development for £3.75million in March 2002. The last game to be played at the old stadium was the last game of the 2001-2002 season – a 2-1 win over Spurs. And who had the honour of scoring the last ever goal at Filbert Street? Matt Piper! Matt now plays for Oadby Town of the East Midlands Counties Football League and although he hasn’t had a glittering career since his historic goal, he has gone down in the history books and Leicester City folklore! Like Roker Park, the Baseball Ground, Highbury, Main Road, and The Dell before it, Filbert Street lost out to 21st century, big-money football and although it was sad to see the old ground go, it did have to go. It seems odd to mourn the loss of the stadium some 10 years after it closed but after watching City v Forest in November this year, you couldn’t help but notice the difference in atmosphere at the home of Leicester City. We don’t have to be embarrassed anymore when away fans come to town, but away players no longer get intimidated by the roar of home crowd on a Saturday afternoon. At the King Power ‘The Kop’ is separated from the away fans and because of that you never hear the public address system asking fans to “stop throwing coins” – which, of course, is a good thing, but in terms of atmosphere, it dampened the early years of having a new stadium. 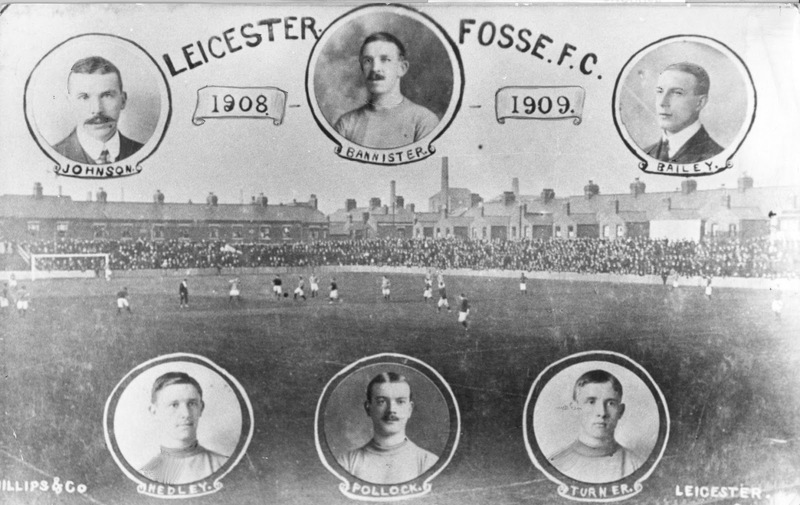 Recently The Kop supporters have slowly began their migration to the new East Stand and with Lee Jobber’s drum banging, new scarf-waving songs being sung, a rich owner and a quality team – the future of Leicester City is surely looking bright once again!